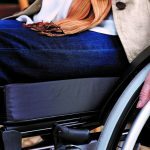 As you would expect a wheelchair tyre is critical to the performance of the device but it can sometimes be difficult to know which one will suit you and your wheelchair best. Wheelchair tyre size is relatively self-explanatory, if it’s the wrong size it won’t fit. The size is normally printed somewhere on the wheel itself so if looking for a replacement this should be simple enough to find. Remember that the wheel is measured in inches and includes the diameter of the whole unit (wheel and tyre) not just the wheel. Depth of tread is added on the measurement as the second figure, for example 25” x 1.5” means tread of 1.5” depth. Pneumatic or air-filled tyres are usually found on larger wheels on self-propelled or electric wheelchairs. 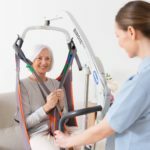 They are very light which helps when being lifted into a car and helps the wheelchair user to maximize efficiency of movement. As they are air filled they provided a dampening effect compared with solid tyres over outdoor terrain. This type of wheelchair tyre tends to have a deeper tread providing increased grip which is good for stability and makes the journey more comfortable. The down side of a pneumatic wheelchair tyre is that it requires regular maintenance. As it is air filled it is more susceptible to puncture and/or general loss of pressure. This means that tyre pressure should be checked regularly and equal pressure maintained in all tyres to ensure a safe and smooth experience. Solid wheelchair tyres are usually made from rubber but can also be different forms of plastic. As they lack air on a form of inner tube it makes them less flexible or able to adapt to altering terrain. This in turn makes the ride less smooth or comfortable. However, the positive to a solid wheelchair tyre is that it cannot be punctured or deflate therefore requires significantly less maintenance and lasts a lot longer making the solid tyre more cost effective. 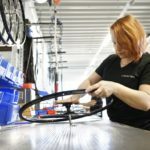 Made for exactly the same purpose as the standard pneumatic wheelchair tyre but with an inner tube manufactured from material such as Kevlar that is puncture resistant. It can be slightly heavier than the standard pneumatic tyre but has less maintenance requirements. The main difference is the cost. 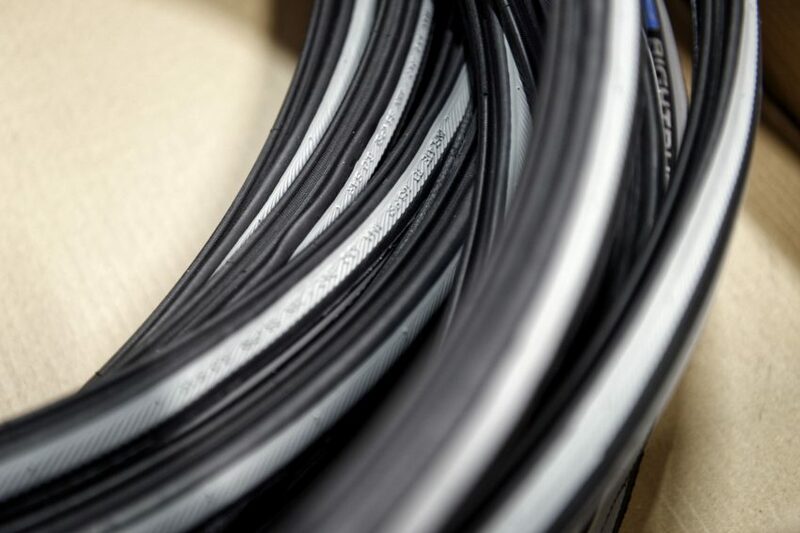 Due to its complex design and manufacture the puncture proof tyre is significantly more expensive than the alternatives. Air filled wheelchair tyres need to be checked weekly. Proper air pressure in a tyre helps to distribute the weight of wheelchair and user evenly across the tyres tread pattern, so the tyre (and the wheelchair) is at its most stable and agile. When a tyre is under-inflated or over-inflated, it loses rigidness, negatively affecting handling, cornering, and stopping. Eventually the tyre will also start to wear unevenly. Under-inflated tyres tend to show wear on the outside edges of the tread, while over-inflated tyres show wear down the middle of the tread. To know how much pressure you’ll have to give to your tyres, the pressure is normally printed somewhere on the wheel itself. With a Manometer you can ensure that you have the exactly same pressure in both of the tyres which affects also the driving performance, smoothness, maneuverability, speed and control of your wheelchair. It is crucial that the tyre is attached to the wheel correctly or when used the rim will be damaged and debris can protrude any gaps and cause critical damage to the unit. Always consider what tasks the wheelchair user is completing and how the tyre, whether type or size supports active and independent engagement. Will reducing weight mean that the user expends less energy and is then able to see the task through to its conclusion? Will deep tread with increased friction create too much resistance to support independent movement in the context of a task that requires regular adjustment of position? Where will the tasks being participated in be completed? What is the surface and which tyre will suit that surface and the wheelchair user’s comfort the most in that situation? Is turning circle an issue with care needing to be taken regarding width and depth of tyre therefore?